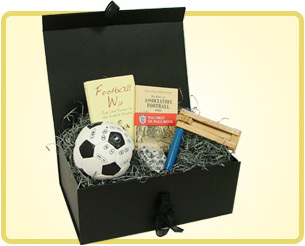 A fun and thoughtful football classic gift box for the football fan in your life. 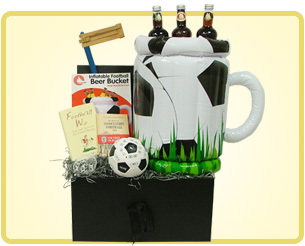 A lovely gift for the football fan in your life. 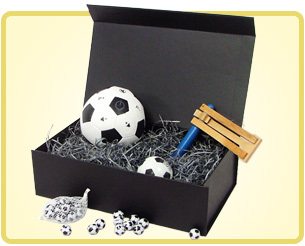 Loads of goodies for the stay at home fan - loads of gear to keep them occupied and in good spirits when the going gets tough. 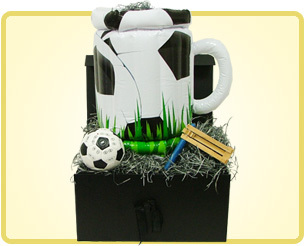 Premier Pack for Premier Footie Fan. 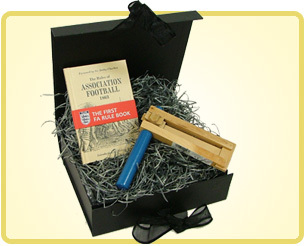 Loads of goodies to keep the knowledge up, noise level high and spirits for the next few games anyway! 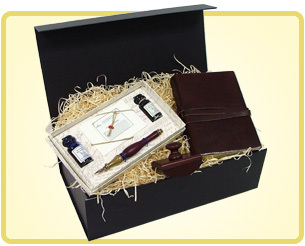 A beautiful gift for those who keep a personal journal or have an up and coming special occasion that should be recorded for posterity! 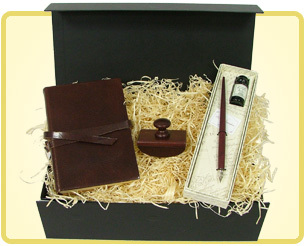 A most beautiful gift for those who love to write or keep a personal journal of life, loves and those special occasions, allowing them all to be committed to paper for posterity. 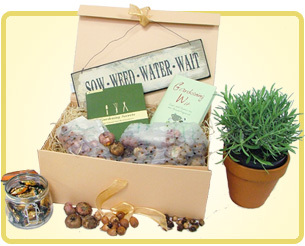 A gift, bursting with gardening goodies, to bring delight to the green-fingered amongst us together with a little good humoured wit and a little sweetie to help the concentration. 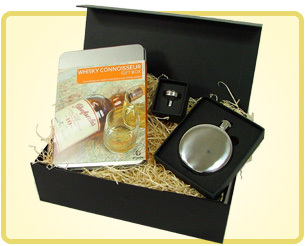 A perfect gift for the whisky lover. 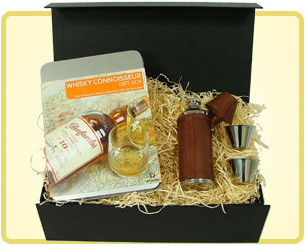 A beautiful hip flask and kit to make the whole whisky drinking process as wonderful and fulfilling experience. 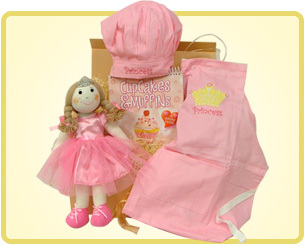 A most beautiful gift for little girls everywhere who love to bake their very own cupcakes. 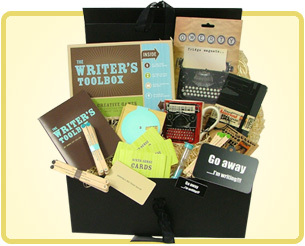 For budding writers everywhere, this is the ultimate present.